RSHO- Gold is first CBD oil to be listed in the Physicians Digital Reference! several challenges in care particularly with higher numbers of coexisting conditions and related polypharmacy. is the concurrent use of multiple medications by a patient. In collaboration with Dalton Pharma Services, Cardiol is developing unique manufacturing expertise in the production of pharmaceutical cannabinoids in support of its nanotherapeutics program in heart failure. With the de-scheduling of cannabinoids from the federal Controlled Drugs and Substances Act, the Company believes there is a significant opportunity to manufacture and commercialize pure pharmaceutical cannabidiol regulated by the federal Cannabis Act. Cardiol is developing cannabidiol products that are >99.5 purity and TCH free (less than 10 ppm). The Company plans to introduce a cannabidiol oil product in 2019 and in H2, 2019 a water-like cannabidiol in a sublingual spray for ease of administration. 30 years of experience. Cardiol Therapeutics – Next Generation CBD from Cardiol Therapeutics on Vimeo. The Industrial Hemp Revolution is here with the power to transform Southern Oregon’s economy and revive family farms and small businesses. Exactus Inc. (OTCQB:EXDID), a healthcare company pursuing opportunities in Hemp derived, Cannabidiol (CBD) products, announced it has acquired a majority interest in a 200 acre industrial hemp farm located in Cave Junction, Oregon. Cave Junction, incorporated in 1948, is a city in Josephine County, Oregon, United States. As of the 2010 census, the city population was 1,883. Its motto is the “Gateway to the Oregon Caves”, and the city got its name by virtue of its location at the junction of Redwood Highway and Caves Highway. 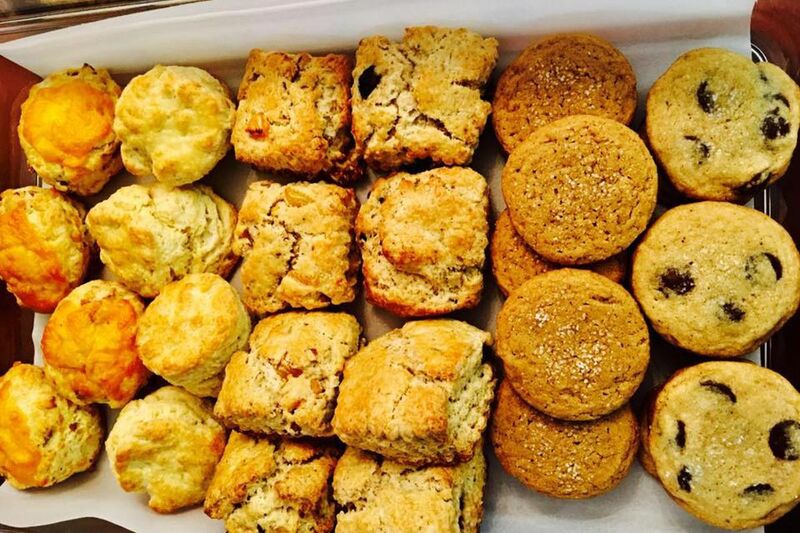 Austin has a new CBD store, coffee shop, and bakery, serving CBD-infused baked goods and coffee with CBD drops. Flamingo Hemp is now open within downtown Austin music venue Flamingo Cantina at 515 East 6th Street. It opened right before SXSW on Wednesday, March 6. The edibles, from local catering company Keep Austin Baked, are made with Flamingo’s own CBD-infused coconut oil. There are muffins, scones, chocolate chip cookies, gingerbread lollipops, chocolate-covered espresso bean clusters, etc., all infused with between ten to 25 milligrams of CBD per serving. There’s also a coffee menu with drip, espresso and iced coffees with optional CBD shots. Lilu’s Garden is the first company to produce hemp derivatives at scale. Its developed a breakthrough patent pending Aqueous Extraction system that eliminates the need to remove water from hemp in advance of processing. This innovation makes it possible for Lilu’s to meet the surging demand for hemp derivatives. Lilu’s Garden has created a vertical business that takes production from seed to derivative sale at a staggering scale. Able to process more than 300,000 lbs. of hemp biomass a day, Lilu’s operates a multi-faceted operation that is led by some of the industry’s brightest minds. Research & Development has been the driving force and allowing the company to expand and scale into all facets of the industry, including genetics, nationally scaled agricultural operations, hyper-efficient proprietary aqueous based processing and wholesale B2B distribution. Lilu’s Garden anticipates to produce and sell approximately 450,000 kilograms of CBD and other minor cannabinoid from current hemp stock will be sold in 2019. The company is therefore increasing its production 10 fold by managing the farming of an unprecedented 75,000 acres of hemp production for the 2019 harvest, which will produce approximately 50,000,000 million lbs.+ of hemp and over 1,000,000 kilograms of Isolated CBD and other non-psychoactive cannabinoids to be sold in 2020.
separating CBD from the 112 other major cannabinoids in plant extracts – including the psychoactive tetrahydrocannabinol – isn’t easy. It involves a series of extractions, filtrations, chromatography and crystallisations.